Background: Was always a rebel. Went to school for 7 years and dropped out. He started his Pokemon adventure at 11. He lost his parents in Team Rocket's evil Radio Tower plan. Approved! You may start in Greentop Town! Meap the Alien wrote: Approved! You may start in Greentop Town! Um im new here,are there rps here where your a pokemon? 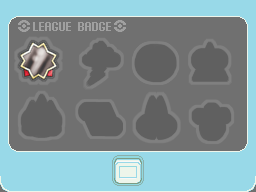 Not yet, but we may implement things such as Mystery Dungeons and Pokémon Ranger in the future.